So much yarn, so little time. 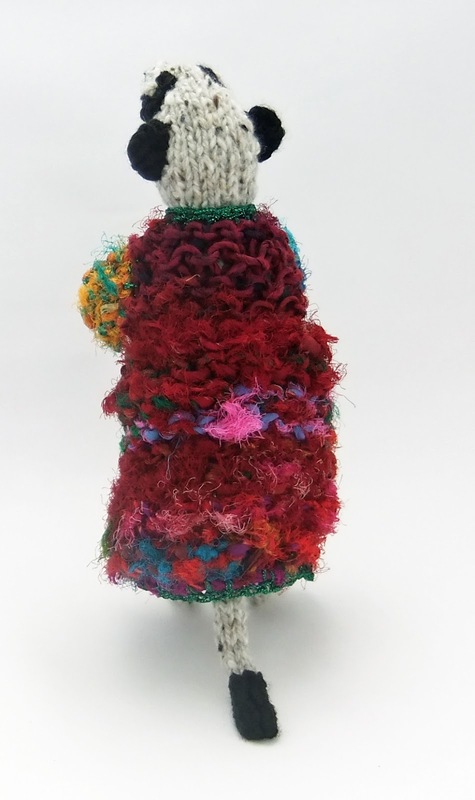 : Yarn competition: What did I make? Remember the competition I told you about? Homecrafts sent me a box of yarn with the challenge to design and make something. I wasn't allowed to use any additional resources except for stuffing and wire...so I've been busily working. I rather like the natural fur effect of the new yarn. I used the black for ears and eyes and tail end, and the plain cream for the highlight in his eyes. 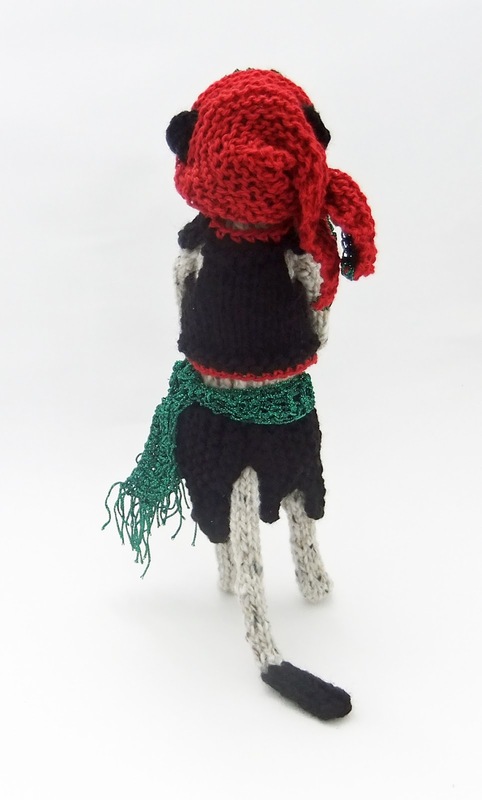 Next I had to decide how to use the other yarns to dress him. 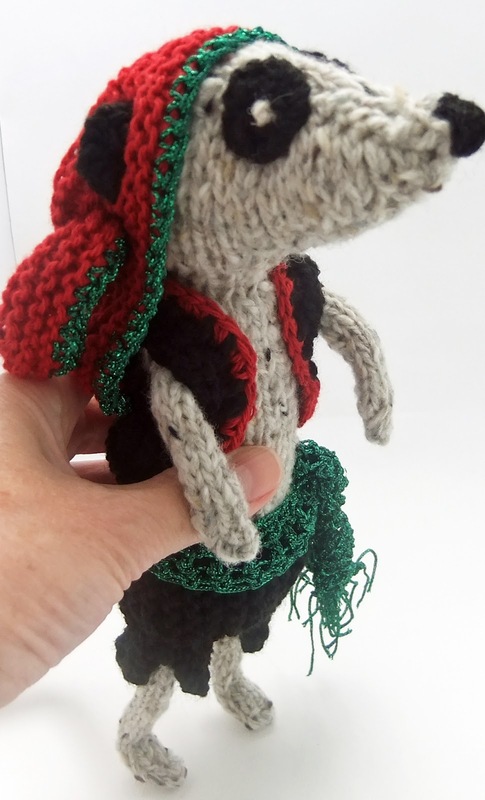 I had pirates on my mind - did you see I was part of the Guinness Book of Records Challenge for most pirates on Hastings Beach? So I thought the black red and green would work well as a pirate's outfit. No additional resources - so no earring! I liked how the scarf turned out. I wasn't entirely sure how he'd want to wear it, so made a row of ear-sized holes all along the top edge. Once he'd decided where his ears would go, the end of the scarf could pull through one of the other holes and hold it fast. See the jagged edges of his trousers? 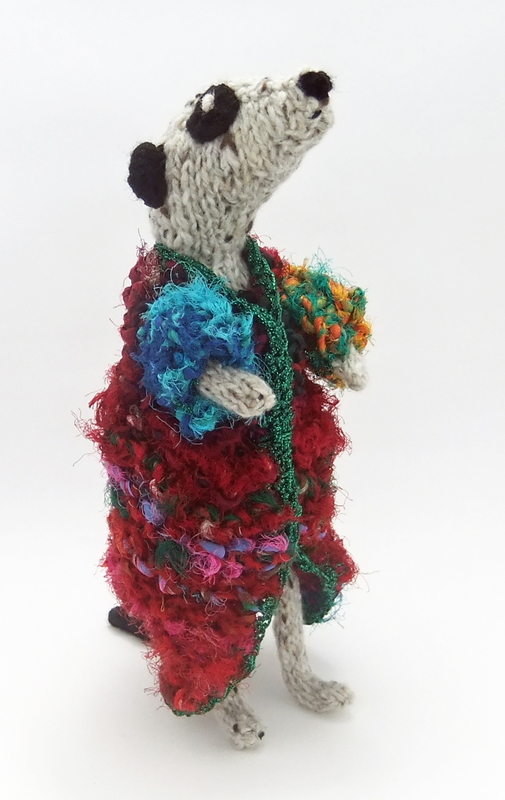 I was very pleased to find I only used half the fur yarn, so of course had to make another meerkat! His coat is quite heavy, sari yarn isn't at all what I'd imagined it to be. It's really quite thick and solid, so I needed quite large needles. 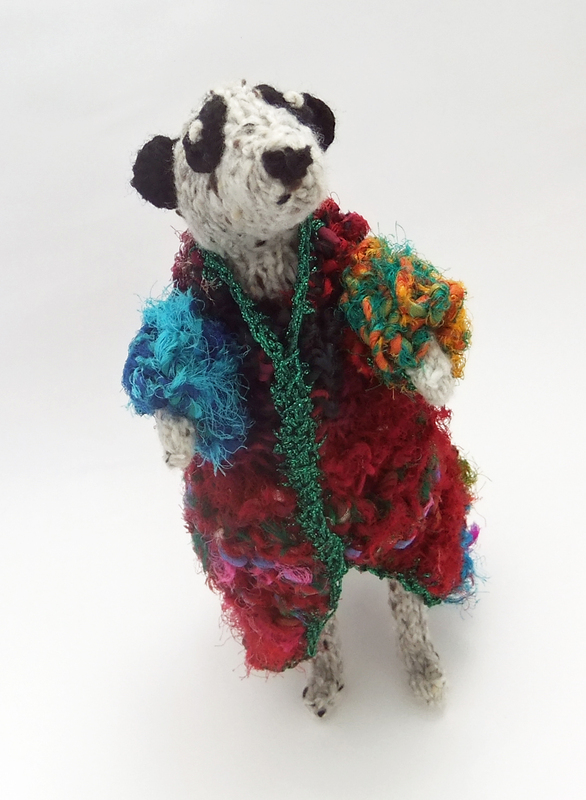 The colour blocks are random, some much bigger than others, but I think it works well as Joseph's technicolour dreamcoat! Now all I have to do is wait to see what the other competitors have created with the same yarns, and discover how the winner will be chosen! Thanks for the challenge to Homecrafts! Brilliant knits! 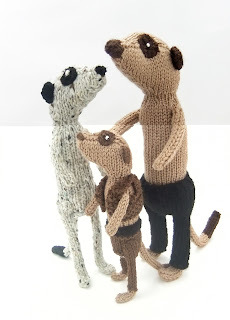 You have made such lovely meerkats. I would still be thinking what to make. Thank you! 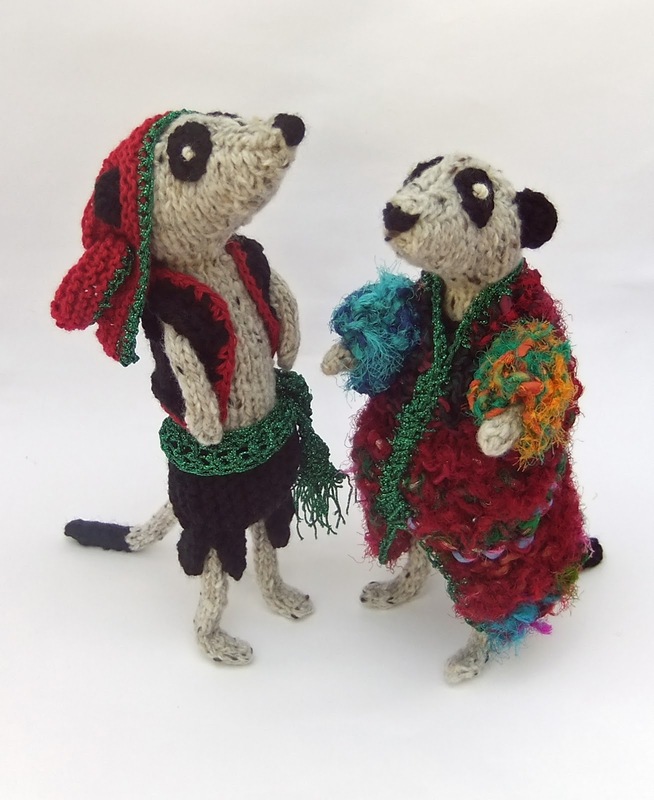 Joseph was totally down to the sari yarn, but you're right Gina, he could join the merry throng!